Dr David Allen is a clinical psychologist with over 30 years’ NHS experience of working with people who have intellectual disabilities. He has held honorary chairs at the universities of Kent, Cardiff and Glamorgan. He is also a Fellow of the British Psychological Society and the International Association for the Scientific Study of Intellectual Disability (IASSID). David has worked with people with intellectual disabilities since 1976 and focused exclusively on supporting people who have challenging behaviour since 1989. In that time, he has played a leading role in the development of a number of innovative community services and the closure of several institutions. He has a particular interest in Positive Behavioural Support (PBS) and reactive management strategies, and recently developed our PBSpro online functional assessment and PBS intervention programme. David has published extensively and speaks regularly at national and international conferences. 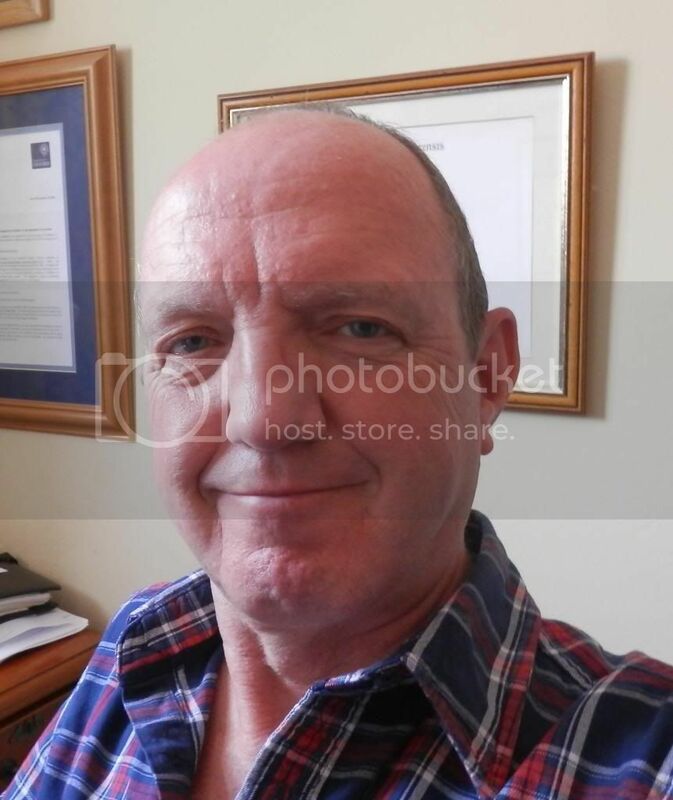 He has been heavily involved in the British Institute of Learning Disabilities (BILD) initiatives in the field of physical intervention since 1993 and has produced several publications for BILD in that time. He is currently joint-editor of the International Journal for Positive Behavioural Support and was given a Leadership Award by BILD in 2012 in acknowledgement of his work on PBS. His extensive training experience includes developing the PBM training programme, leading the establishment of Cardiff University’s Positive Approaches to Challenging Behaviour Masters programme and the suite of BTEC PBS qualifications. In the 10 years since physical interventions moved onto the national agenda, much progress has been made. This book, based on contributions from leading academics and practitioners in the UK and USA, is the first major overhaul of key developments and current best practice in the field. It includes an overview of current policies and practices, an examination of physical interventions and abusive practice, and a discussion of objectives for the immediate future. An important reference for commissioners, service providers and physical interventions trainers, as well as anyone concerned with improving our responses to challenging behaviour. 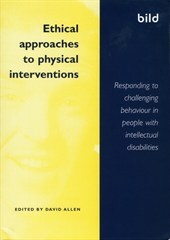 The topic of physical intervention is still hugely important: the abuse of such interventions features all too regularly in national scandals, and people with intellectual disabilities and other individuals with complex needs are still dying in the UK as a result of the use of inappropriate restraint. Through rigorous analysis of current policies and practices, careful examination of physical interventions and abusive practices, and clear discussion of objectives and needs for the future, this new publication offers a major overview of key developments and current best practice in the field. 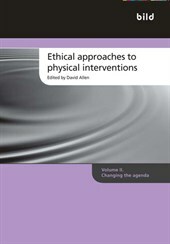 Please note: this is a second volume to the Ethical Approaches series, not a second edition. It does not replace the first volume but complements it and updates the debate. 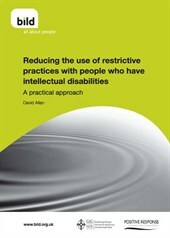 The overall aim is to help services who wish to reduce their use of restrictive procedures to do so in practice. How should carers be trained in physical interventions, given the bewildering array of different types of training on offer? What benefits should be expected from training? And how can trainers evaluate their training, both immediately afterwards and in the long term? Training Carers in Physical Interventions provides trainers, purchasers and providers with practical, evidence based information: Alerting purchasers and providers in the types of outcomes they can expect from behaviour management training and helping trainers evaluate their training, with sample measures of direct training outcomes. The report also summarises the current knowledge on training outcomes, based on a review of existing literature and identifies areas for future research. 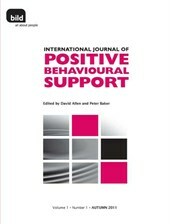 The first edition of the International Journal of Positive Behavioural Support was published in September 2011. It is now published twice a year. Positive behavioural support (PBS) combines the conceptual framework of applied behaviour analysis with the values base of social role valorisation and framework of person-centred approaches. -Bridge the gap between academic research and service practice.